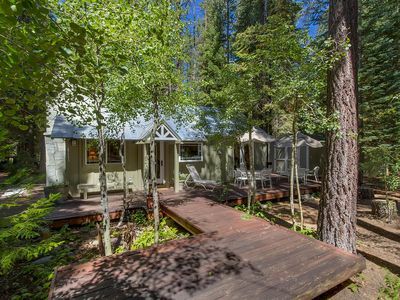 Just a mile from the shore of sparkling Lake Tahoe, this charming, modern, single-story dog-friendly home is ideal for up to six guests including those looking for a rental with very few steps. 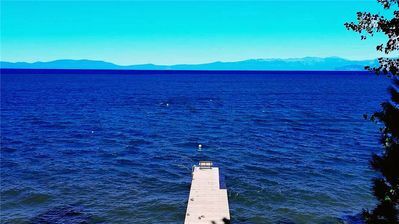 Head over to the lake for a wide variety of watersports including swimming, stand-up paddle boarding, and parasailing. Or pack a picnic lunch and relax to the sound of the water lapping against the shore. 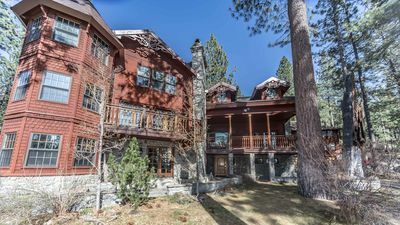 This home is also just two miles away from the lakeside resort and marina of Camp Richardson, and a mere seven miles from the ski slopes of Heavenly Mountain. 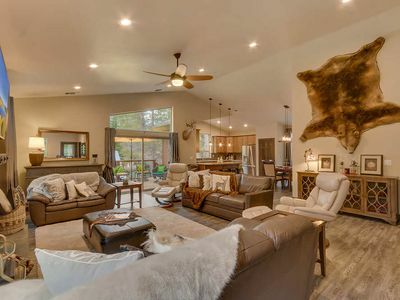 Illuminated by new lighting fixtures and featuring modern accents and furnishings throughout, this delightful and welcoming home is an ideal forest retreat. The open great room offers a living area with a plush sectional sofa and a TV equipped with Netflix streaming. 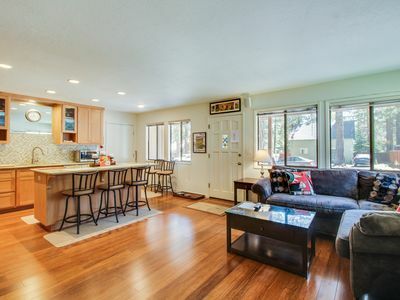 On the other side of this space, there's a breakfast bar with five stools and a full kitchen with a variety of accessories and stainless steel appliances including a large refrigerator, coffeemaker, mixer, and a dishwasher to help keep things tidy. Bring along your canine companion (under 35lbs) for a small nightly fee. 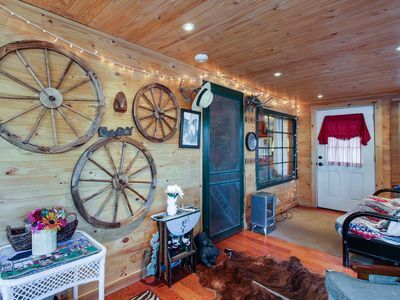 There are three bedrooms and two full baths in the home: two bedrooms have queen beds while the third has a twin-over-full bunk bed, perfect for the kids! WiFi is provided to allow you to easily pop online, and if you want to catch up on your favorite shows or movies, there are three TVs available including one in the living room with Netflix streaming capability. And pack lightly for this trip thanks to the private washer/dryer located inside the home. 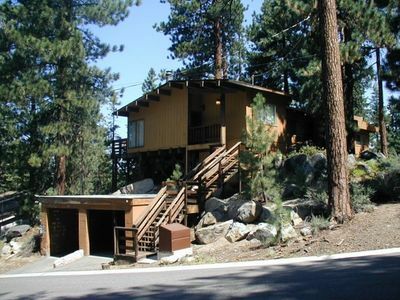 Take a bike ride through South Lake Tahoe on one of the provided bicycles or head out on one of several hiking trails in the area including the eight-and-a-half mile Mt. Tallac Trail, just four miles from your front door. If you're feeling lucky, take an eight mile drive east across the California/Nevada border and have a great time at the Hard Rock Café! 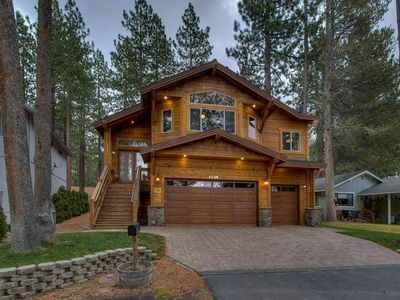 If you've been dreaming of a trip to Lake Tahoe, book this cozy home today and start making those travel plans! 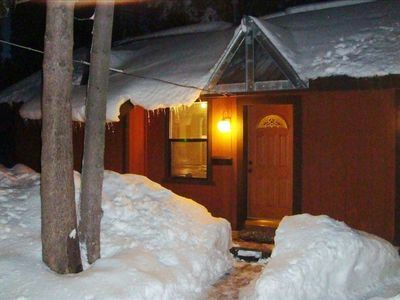 Cozy cottage w/ a unique style, close to the lake & skiing!